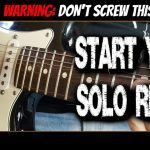 Learn 3 fast rock licks in the style of Michael Schenker, Tony Iommi, and Angus Young and discover how to make up fast rock guitar licks of your own to use in your rock solos. Having a few fast rock licks for your rock solos can really help your solos stand out. In this guitar lesson I’ll show you how to play 3 fast licks in the styles of big-name rockers like Tony Iommi, Michael Schenker and Angus Young. Lick 3 shows you a cool fast rock lick mixing a Michael Schenker style repeating lick with some Iommi style double stops. 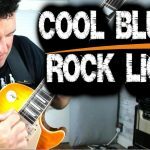 Have fun with these fast rock guitar licks: remember to take them apart and recycle them to create some wicked licks of your own!